Anyone Can Become an EMT – Including You! EMTs and First Responders come from all walks of life. They are your kid’s school teacher, the mechanic who fixes your car, the employees at the bank, even the local accountant or attorney from your hometown. The truth is pretty much anyone can become involved in EMS. 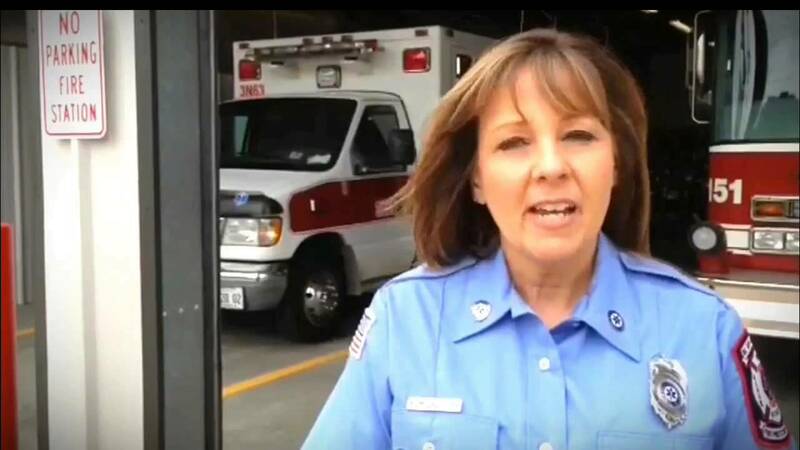 While the people who operate as First Responders and EMTs are pretty special, there really is nothing about them that is any different than you. They have just had training to be able to take care of patients during a medical emergency. You too can receive that same training and become licensed as an Emergency Medical Technician or First Responder. If you were able to graduate from high school you probably have what it takes to become a First Responder or an EMT. While many EMTs and First Responders in Wisconsin are volunteers or work part-time, a paying, full-time career in EMS is also something that you can consider. Ambulance services, mostly in larger cities, are often looking for EMTs to join their organization. Municipal fire departments also hire new recruits from time to time, although there are typically hundreds of people that apply for those jobs, making them more difficult to obtain. Volunteers either sign up for on-call shifts or simply respond whenever they are available and in the area. These EMS providers carry a pager with them to alert them of an ambulance call. Paid EMS providers often work 8, 16 or 24-hour shifts. Full-time EMTs and Firefighters almost always work 24-hour shifts. You Can Do It – Today! The easiest way to become involved in EMS is to contact the local ambulance service or fire department where you live. These services are very often looking for people just like you. You don’t have to have any previous training as they will send you to school and often even pay for it. In exchange, they will expect you to be a member of their organization and sign up for call time with them. If you live in a larger city that is served by a full-time fire department or ambulance service, you still may have some options. The first is to look for a volunteer or paid-on-call service somewhere in your area that will allow you to become a member without living in their community. In these cases you’ll sign up for a call shift and then stay at their station during your shift. There are dozens of services in Wisconsin that will provide this opportunity. Finally, check with one of the private ambulance services that may be near you. These companies often are also looking for new EMTs. Many will allow you to work occasional or part-time shifts. If your dream is to become a full-time firefighter, EMT or Paramedic, the best way to eventually realize that goal is by starting out with a volunteer or private service. Many of today’s full-time providers started out this way. Then, when you go to apply for a full-time job, you’ll already have training and experience which often places you higher on the list. Of course you can also put in your application with a full-time fire department, take the test and hope for the best. These departments often keep a list of potential recruits for a period of two or three years. Need Help Finding Your Local EMS Provider? If you just can’t seem to find a local EMS service or fire department, your next step will be to contact us here at the Wisconsin EMS Association. Very often we are able to help identify a local EMS service that you can join. We’ll even put you in touch with that service. If all else fails, or if you would rather not join an EMS service at this time, you can try contacting the closest training center to your community. While class seats most often go first to students sponsored by an EMS service, you can often still get enrolled in EMT or First Responder class on your own. Check the EMS Education page to find the EMS training center that is closest to you. Becoming an EMT or First Responder is something that you can do! Many people think that EMS is all about blood, gore, injuries and death. While we do see those things occasionally, the bulk of EMS calls are very routine involving relatively minor injuries or illnesses. Help and support are there for the occasional brutally-traumatic call. Many current EMTs and First Responders started out just like you, wondering if they are going to be able to do this. They quickly found out that they can. Plus, the knowledge you will gain can be taken with you wherever you go. While everyone else will be panicked and unsure of what to do during an emergency, your training as an EMT or First Responder will help you remain calm and able to assist during nearly any emergency that you encounter. So, what are you waiting for? There is no better time than now to get started. Pick up the phone and make that call. It will open up more doors for you than you ever imagined. Education for Wisconsin’s First Responders and EMTs is currently completed by Wisconsin’s EMS training centers spread throughout the state. These schools are certified by the Wisconsin Department of Health Services (DHS) to provide EMS education. Following the completion of the training course, students complete a state practical and national written exam in order to become licensed. They are allowed three attempts to obtain a passing score of at least 70% in order to become licensed. Following initial licensure every EMT, Paramedic and First Responder must complete a refresher course every two years in order to retain their license. While EMS education can be offered five days a week, the majority of First Responder and EMT-Basic courses are offered once or twice a week, often in the evening, to accommodate volunteers who often have full-time jobs. Day classes are often available to accommodate second and third shift workers. In addition to the typical EMT or First Responder training courses, there are several schools in Wisconsin that offer either a two year or a four year degree in Emergency Medical Services. These schools run these programs just like any other college degree course. These courses are intended for those students hoping to obtain a career in EMS. However, there is no requirement whatsoever to obtain a two or four year degree in order to operate as an EMT or First Responder. The requirements and length of the educational course depends on the level of training being taught. All students must start out by completing either a First Responder or an EMT-Basic course. After becoming an EMT, students are then eligible to enroll in any of the advanced levels of training from Intermediate Technician through Paramedic. In addition to the formal EMT or First Responder training courses, there are a large variety of additional courses that an EMT may take. These include dealing with hazardous materials, bloodborne pathogens and bio terrorism; Basic Trauma Life Support (BTLS); Specialized pediatric and geriatric training, incident management training, and much more. EMTs also often spend time attending local, regional and state EMS conferences and training events. There are multiple EMS magazines, web sites and continuing educational opportunities to also take advance of. While the initial training is often the longest and most important, like all forms of medical care, EMS is constantly changing and evolving. This requires EMTs of all levels to stay informed and essentially continue their education throughout their volunteer or full-time EMS career. It does not matter whether the EMT or First Responder will operate as a volunteer or a paid, full-time provider. The training and certification is the same for all EMTs licensed in Wisconsin regardless of the work they will perform. There are not separate licenses for volunteers and for full-time providers. Every First Responder, EMT and Paramedic in Wisconsin and across the United States is trained to the same standards and must pass the exact same examination to become licensed. The State of Wisconsin requires 49 hours of education for the First Responder course (Emergency Medical Responder), although there are some programs in Wisconsin that provide First Responder course in excess of 60 hours. First Responders are taught the basics of emergency medical care and are able to treat life threatening problems prior to the arrival of the ambulance. Their skills include operating a cardiac defibrillator, inserting simple and advanced airways and using an epinephrine auto injector. Bleeding control, CPR, cervical spinal immobilization, taking vital signs, and oxygen administration are also part of the course. Unless licensed and operating with a Wisconsin service granted a staffing waiver, a First Responder is only able to treat patients at the scene. While they may assist in the back of an ambulance, a First Responder is not able to function as a licensed member of the ambulance crew on most ambulance services. Services granted a waiver can staff the ambulance with an EMT and a Medical First Responder. However, the EMR cannot provide patient care in the patient compartment by his or herself. Typically services operating with EMR staff have the First Responder drive the ambulance. Following initial certification, every First Responder must complete a 16-hour refresher course every two years to retain that certification. The backbone of EMS in Wisconsin and across the nation is the Basic Emergency Medical Technician. While they are termed “basic”, these EMS providers actually receive a sizable amount of training. The EMT-Basic course consists of approximately 180 hours of instruction including classroom, practical and emergency room education. The training includes basic anatomy and physiology, understanding of various body systems, illnesses, injuries and their associated treatments. Besides administering oxygen, Wisconsin EMT-Basics are trained and authorized to administer several medications including aspirin, albuterol, atrovent, epinephrine, and glucagon. They are able to administer injections as well as test blood sugar. Because the EMT-Basic is the only level of care required in Wisconsin, an EMT must learn and become familiar with a wide variety of patient conditions and treatments. Following their initial licensure, an EMT-Basic must complete 24 hours of continuing education plus six hours of “hot topics” (as required by the State) every two years or obtain training at one of the higher levels of EMS in order to retain their license. There are no requirements for an EMT to actively use their license in order to retain it. After becoming licensed as an EMT-Basic some EMTs go on to obtain training and certification as an EMT-Intermediate Technician or Advanced EMT. This requires an additional 170 hours of training beyond the primary 180 hours to complete the initial EMT course. Approximately 76 of these hours are spent in the classroom, 44 hours in practical lab stations, with the remaining 50 hours spent in clinical experiences at the emergency room practicing their skills. Advanced EMTs (EMT-Intermediate Technicians) are able to start IVs and administer IV fluids. They carry and administer several additional medications including nitroglycerine for chest pain, Narcan to treat opiate (heroin, Oxycodone, Hydrocodone, etc.) overdose, and 50% Dextrose to treat diabetics. Advanced EMTs also receive additional education into pathophysiology, anatomy, diagnostics and critical thinking skills. Following course completion, the EMT must again pass a written and practical exam to become licensed as an Advanced EMT. In addition, they must be licensed and volunteering or working with an ambulance service licensed to operate at the Advanced EMT level in order to administer any of the Advanced EMT skills and medications. An Advanced EMT must complete a 42 hour refresher course every two years or obtain training at one of the higher levels of EMS in order to retain their license. There are no requirements for an Advanced EMT. to actively use their license in order to retain it. The next level of care is the EMT-Intermediate. The EMT-Intermediate course requires a minimum of 496 hours of additional training. About two-thirds of this training is completed in the classroom with the remaining time spent in various departments of the hospital, and in the back of an ambulance with an instructor or preceptor, performing and practicing their skills. EMT-Intermediates receive a much more detailed education in the various systems of the body and in the pathophysiology of the various emergency conditions they will treat. They are trained to interpret ECGs as well as perform a much more advanced and detailed patient assessment. They carry and administer over 20 different medications including cardiac drugs and narcotic medications to treat pain as well as seizures. They are able to perform a variety of advanced procedures including endotracheal intubation, placing a special needle into the leg bone or sternum, placing a catheter through the chest wall to treat a collapsed lung, and starting IVs in the external jugular vein of the neck. EMS providers at this level may operate either as volunteers or as part of a paid ambulance service or fire department. EMT-Intermediates may only use their advanced skills while operating with an ambulance service licensed at this level of care. EMT-Intermediate ambulance services are often located in mid-sized communities who may not have the annual call volume or resources to provide paramedic level care. Along with these, however, are several very small communities who provide this level of care thanks to very dedicated volunteers or paid-on-call members. An EMT-Intermediate must complete a 48 hour refresher course and complete an Advanced Cardiac Life Support (ACLS) refresher course every two years to retain their license or complete the additional training required to become a paramedic. The highest level of training for standard emergency medical care is the EMT-Paramedic. Paramedics must complete at least 1000 hours of education to obtain their license. Typically 700 hours of this time is spent in the classroom with the remaining hours being spent in a large number of hospital departments and in the ambulance working with licensed paramedics or instructors/preceptors. Paramedics receive a very detailed education in anatomy, physiology, pathophysiology, pharmacology, critical thinking and advanced medical procedures. The EMT-Paramedic is allowed to carry and administer as many as 50 or more different medications. In addition to all of the procedures of the EMT-Intermediate, a Paramedic can perform a chricothyrotomy, place a needle into the sac that surrounds the heart to remove blood and even completely sedate and paralyze a patient in order to facilitate the insertion of a breathing tube. Paramedics often operate as part of a full-time paid ambulance service or fire department and make their living in EMS. However, there are areas of Wisconsin that have volunteer paramedics as well as those who only work in EMS part-time while they maintain their regular career in a completely different and often unrelated field. Typically Wisconsin’s larger cities have paramedic ambulance services and fire departments. Still, several very small communities also provide this level of care because of very dedicated volunteers. Like the Intermediate, the EMT-Paramedic must complete a 48 hour refresher every two years and complete an Advanced Cardiac Life Support (ACLS) refresher course to retain their license. As health care changes continue, the utilization of the Critical Care Paramedic and Critical Care Transport services have become more common throughout Wisconsin. Critical Care Paramedics are used primarily to transport critically ill and injured patients from one health care facility to another. Because increased knowledge and skills are required to handle these types of patients, development of training, testing and certification for the Critical Care Transport Paramedic (CCTP) was introduced in 2009. In order to obtain Critical Care Paramedic endorsement, students must already be currently-licensed as a Paramedic. Students receive additional training in a variety of patient conditions and medical interventions related to the transportation of a critically-ill or injured patient from one medical facility to another. Areas of care include mechanical ventilators, medication administrations or maintenance of medications not typically used in the pre-hospital setting, use of advanced medical devices, and further education related to patients with special medical needs. While awaiting formal and final legislative approval, the Critical Care Transport Paramedic is currently added as a special endorsement to the standard Paramedic license. To obtain the endorsement, students must successfully complete all components, including clinical and field, and final evaluations of the Wisconsin Critical Care Transport Paramedic program. Upon successful completion of all the training program’s requirements, individuals may apply for Critical Care Transport Paramedic endorsement. Just like with all of the other levels of EMS care, individuals holding a valid endorsement as a Wisconsin CCTP and who wish to maintain their CCTP endorsement must complete a minimum of 24-hours of continuing education based on the current CCTP curriculum every two years. Those 24-hours are in addition to the required 48-hours of continuing education, recertification and endorsement as a regular Wisconsin Paramedic.